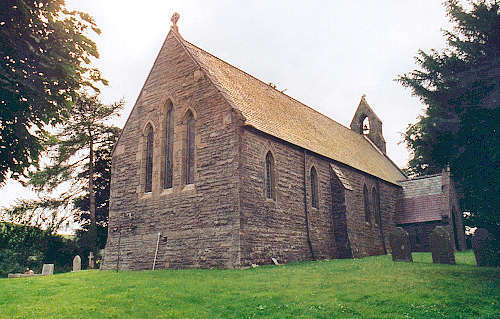 The new parish of Bylchau was created on 21 July 21 1855, from the townships of Uwch Caerau and Taldrach (formerly in the parish of Henllan), and Deunant and Grugor (formerly in the parish of Llansannan). St. Thomas's church was consecrated on 27 October 1857. For family history information about the church and parish, visit the GENUKI Bylchau page.